Founded by Mats Rombaut, ROMBAUT is a new line of footwear made from sustainable materials – stone, tree bark, natural rubber, and thus making it one of the true ecologically responsible high fashion labels. For Fall/Winter 2015-16, ROMBAUT stays true to its design philosophy and continues its commitment to uncompromising environmentalism through an elegant fusion of luxury and technology. The sport of fencing serves as the main symbolic reference for the F/W 2015 collection. The elegance and discipline of the sport perfectly mirror ROMBAUT’s principles of technical excellence, determination, and moral improvement. The colors and materials of the collection represent this kinship with fencing: white, black, silver and royal blue are prominently featured. Sustainably engineered materials convey opulence while also following the demanding environmental ethos of ROMBAUT – whether technical fabrics or man-made leathers, which both play a big part in the collection. 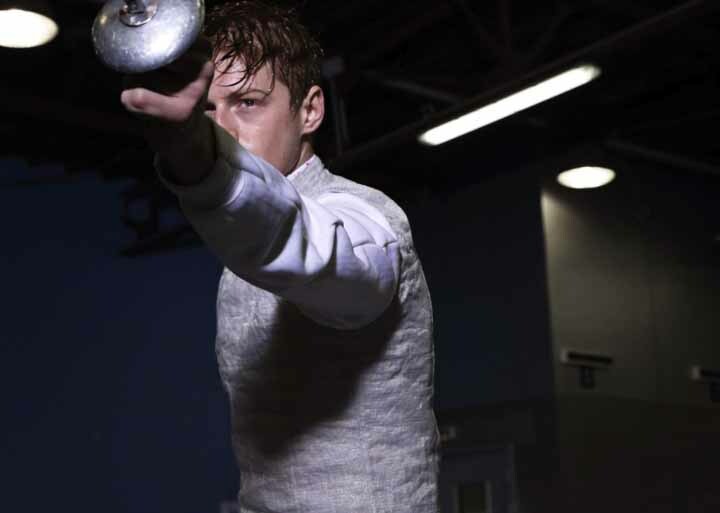 To fully capture the fencing symbolism and the fighting spirit of the brand, the international champion fencer, Race Imboden models in the campaign images for the collection. The ROMBAUT vision is that of a healthy, more conscious future. To get there – to secure the survival of our environment – we must fight. With this in mind, ROMBAUT now makes a graceful call to arms. All materials and fabrics are sustainably engineered – there are no animal-derived substances involved. Instead ROMBAUT develops plant-based materials and is determined to protect bio-diversity in our environment.